The title of Selig’s presentation is based on the double meaning of the word “address.” Not only can the word mean a physical “address” where you live or work— where you can typically be found—it’s verb form, while pronounced differently, signifies when someone calls you. 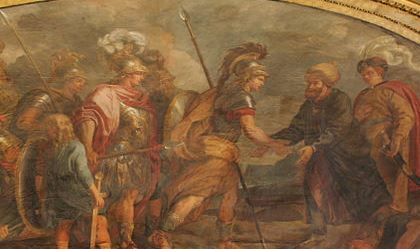 “Calling” ties to the word “vocation,” which is based on the Latin vocatus, the past tense of vocare, “to call.” Vocation, from the early 15th century is defined as “spiritual calling.” Thus the word “vocation,” Selig notes, literally means to be called by the gods. A guest post by Pacifica's Special Collections Librarian Richard Buchen. "... the first axiom of all creative art -- whether it be in poetry, music, dance, architecture, painting, or sculpture -- which is namely, that art is ... a presentation of forms, images or ideas in such a way that they will communicate, not primarily a thought or even a feeling, but an impact. "The axiom is worth recalling here, because mythology was historically the mother of arts and yet, like so many mythological mothers, the daughter, equally, of her own birth." In April of 2002, the Joseph Campbell Library on the campus of Pacifica Graduate Institute was visited by a film crew directed by Tsukuru Matsuki from Kyodo Television of Tokyo. They were filming for an episode in a television documentary series called "Passion for Arts" which was aired nationally in Japan that year via TV Tokyo, and the broadcast included footage of the Joseph Campbell Library, as well as its Special Collections Librarian talking about The Hero with a Thousand Faces. 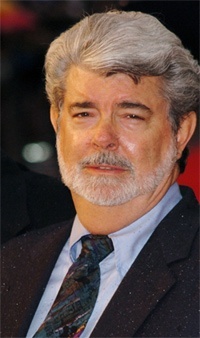 The subject of this episode was not Campbell, but rather a man who had been deeply influenced by him, the filmmaker George Lucas. We asked our Pacifica faculty for a list of films that have a Jungian theme in them and here are the top 10 movies that they came up with. I have to add that Lionel Corbett said "all movies have a Jungian theme." Tou·ché Dr. Corbett, tou·ché. Modern-day cinematic portrayals of myths old and new are etched in our collective imagination. Who can forget the 1960s film depiction of the Greek hero Jason and the crew of the Argo boldly sailing their ship between the Clashing Rocks or Luke Skywalker unmasking his father, Darth Vader, in Star Wars? And how many of us were enthralled watching Frodo Baggins accepting his fateful mission to carry the Ring of Power away from the Shire or were enchanted by the other-worldly experiences of Dorothy in The Wizard of Oz? Such films comprise a set of shared cultural reference points and have inspired audiences the world over. Yet beyond their capacity to entertain and stir the imagination, mythic films also possess an instructive metaphorical significance. Skilfully interpreted, they can provide invaluable guidance for the process of deep psychospiritual transformation that Carl Jung called individuation. It is this way of reading and using myth that is the focus of my 2013 publication, The Rebirth of the Hero. Deborah Quibell is many things, but she is archetypally a Creator. At least that’s how I know her. I met her several years back when she entered into the newly launched Jungian and Archetypal Studies program at Pacifica. I am now her dissertation chair, which is a distinct pleasure because part of how Deborah creates is through writing. She’s good. She’s damn good. One of the greatest joys of teaching at Pacifica is working with an amazing student body. Our students awe and amaze us. They challenge and create us. They push and pull us. They keep us awake at night and awaken us in the morning and call us forward during the day to be the best that we can be because they are striving to be their best selves and thinking we might have something, just a little something, to offer those selves. And sometimes, they supersede us.